With the advent of Elly’s recent success, I thought it only appropriate that he and I give thanks by paying it forward to his brethren. Last night I read an article on MSNBC: “Elephant population dwindles as ivory demand grows; how to foster a baby elephant.” It did not take much time before I was pulling out my credit card. Meet Nyika. Nyika was found wandering in the wilderness of Kenya, exhausted, desperate for water, and worst of all, completely alone. Several females has recently been found killed in the area, perhaps one of these was his mother. 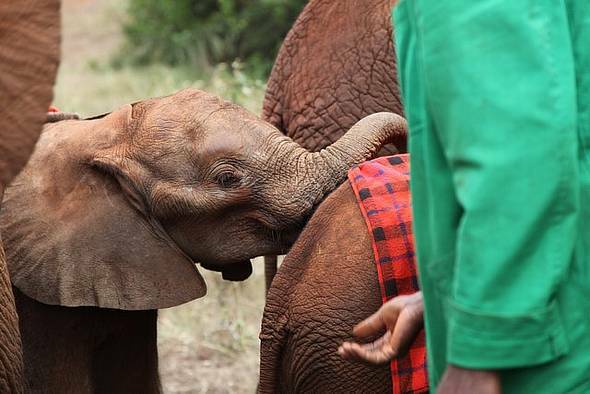 Nyika now lives at the David Sheldrick Wildlife Trust in Nairobi, Kenya. He has lots of new friends there who have similar sad stories, but who now have each other, as well as a loving, dedicated staff to see that they are loved and nourished. He is doing very well, and has found a new family and home. You too can foster an elephant in need. It’s only $50 a year to help save a species with whom we share many of the same emotions. Elephants also have the best memories, so they will never forget your kindness! Elly, Nyika and I thank you for anything you can do to help. 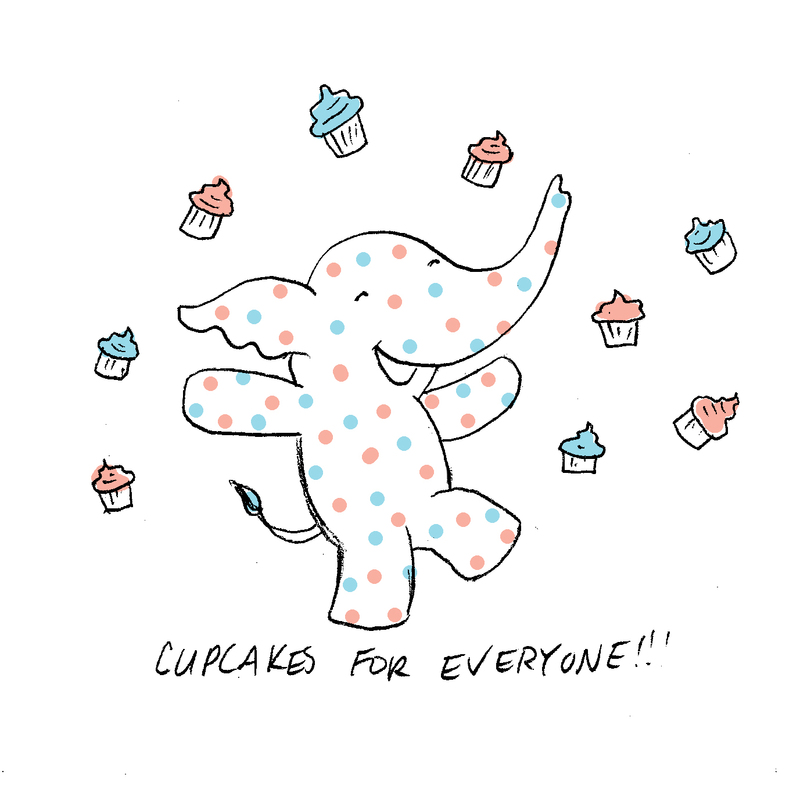 I have officially accepted an offer from Henry Holt Books for Young Readers (a subsidiary of Macmillan) for a 3 book deal starring our favorite polka-dotted elephant, Elly!!! The first book is slated for release in Fall 2014. These have been some of the most surreal days of my life. I really don’t know what to say. A big thanks to Brenda Bowen for being the most amazing agent ever. In such a short period of time, I feel we have grown very close, and I have learned so much from her. Thank you to my Mom for putting me in art class when I was 4 years old, and to Dad for supporting me through college. Thanks to Dan for all of the love, support, and patience over this long journey. Thanks to all of the art teachers I’ve ever had, most notably Laura Nicholls, Charlene Margiotta, Tonya Mulligan, John Thompson, Yvonne Buchanan, and Roger DeMuth. Thanks to my art friends for always being with me in my studio in spirit, cheering me on: Julia Cocuzza, Mike Lewis, Cathy Robustelli, Merve Ozal Atasagun, Beth Page, Chiara Bajiardi, Emilie Combs, Erick Ledesma, Dave Cole, Vanessa Lauria, Sarah Jane Lapp and Mark Kaufman. Thank you, thank you, thank you to everyone who has supported me along the way. Also, a huge thanks to Laura Godwin, Rebecca Hahn, and everyone else at Holt, who believe in Elly and who are committed to sharing his stories with the world. I cannot wait to start working together! To read the official press release, click here and scroll all the way to the bottom. You may wonder how I am feeling. You can combine any of these descriptors, and you’d be correct: giddy, humbled, ecstatic, speechless, nauseous, invincible, dumbfounded, grateful, celebratory, nervous, shaky, high, flabbergasted. Add your own feelings to the list!! !